You can still register for the sixth Taxi & Mobility Update, which will be held in Brussels on April 19 and 20, 2018 at the Van der Valk Hotel just near Brussels Airport. The key question for this year: ‘Access to the Mobility Market’. Or: Who’s in, who’s out? The development of new forms of mobility increasingly throws up many questions and challenges. It is becoming a complicated puzzle with many (potential) stakeholders. Who takes care of the first and last mile or kilometre? Who gets access to the mobility market? Who drives mobility innovation? FHV operators, top and middle management, owner-drivers, local, regional and national regulators, government officials, academics, consultants and suppliers. In previous years around 120 high-level international specialists from all over the world made their way to Amsterdam, where the conference originally started. 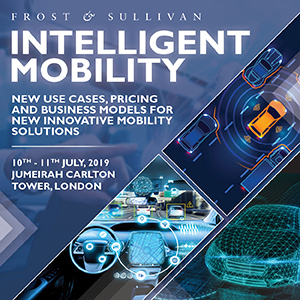 This year we are expecting at least a 150 highly specialised attendees to come to the Taxi & Mobility Update conference to examine the question who drives tomorrow’s mobility and who gets access to the mobility market. So hurry and get your registration in. It’s free! Network with top speakers and high-level representatives from Europe, USA, Canada, Russia, the Middle-East and many other regions and inform yourself about the latest international Taxi and FHV topics. Communicate with Taxi and FHV operators, regulators, government representatives, trade representatives, consultants and academics and tell them about your products and services. Be ahead of the latest mobility trends. This great networking event is only a day away! See you in Brussels!